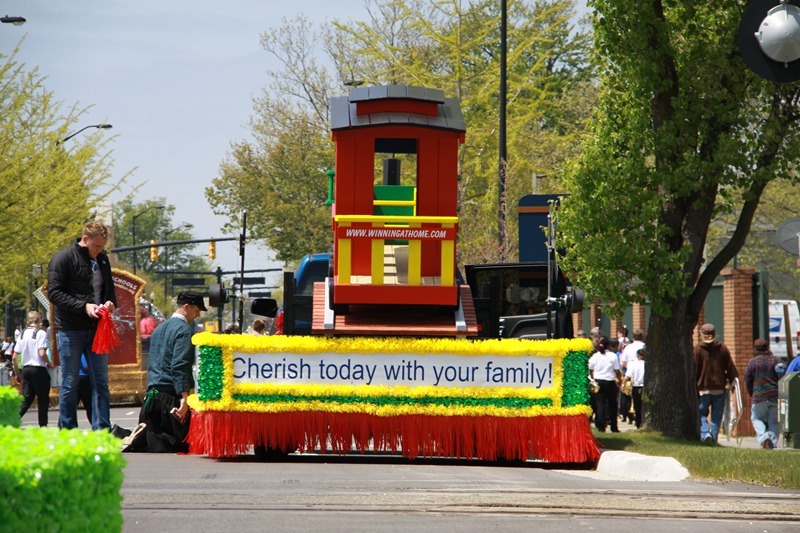 On May 10, Consul General Hong Lei attended the opening ceremony of the 88th Tulip Time Festival in Holland, Michigan. 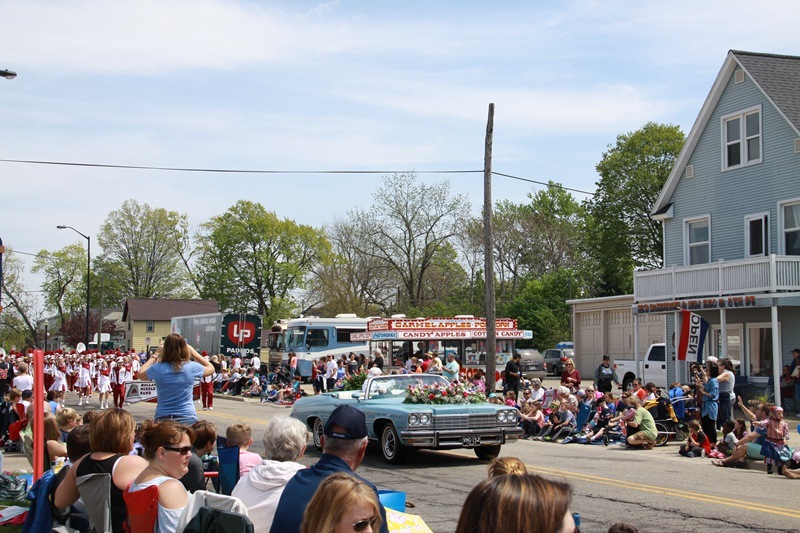 Michigan Governor Rick Snyder, Holland City Mayor Nancy De Boer, Dutch Ambassador to the United States Henne Schuwer and tens of thousands tourists also attended the event. Consul General Hong Lei had a friendly conversation with Governor Snyder before the opening ceremony. 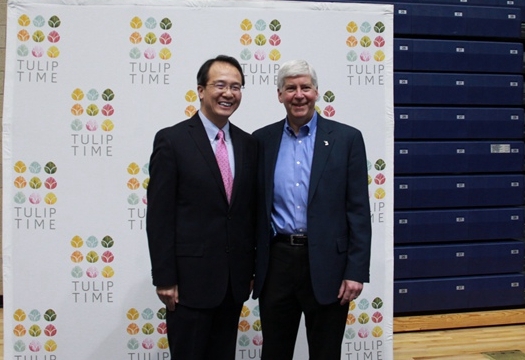 Governor Snyder warmly welcomed Consul General Hong Lei’s attendance at the tulip time festival. 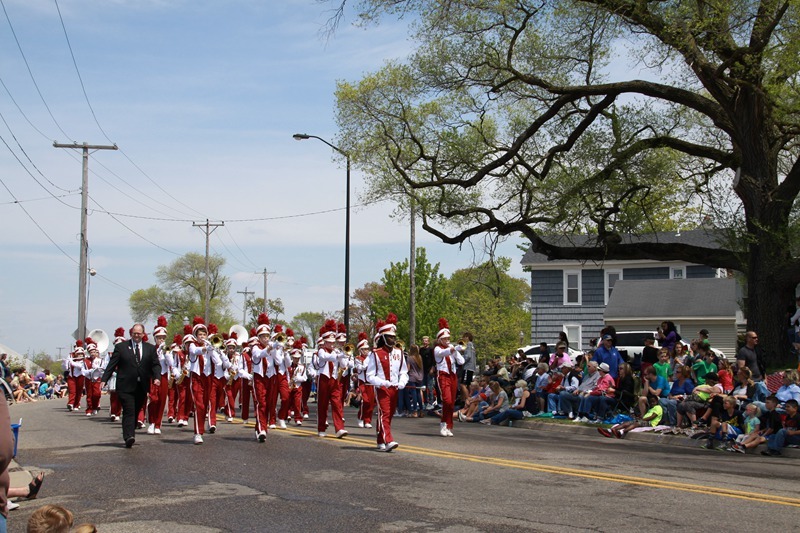 Governor Snyder said that the Holland Tulip Time is a traditional cultural event in Michigan which attracts large numbers of tourists and showcases the diversity of Michigan culture. China's economic ties with Michigan are increasingly close, and people-to-people exchanges continue to expand, which is very beneficial for both sides to deepen cooperation. He is looking forward to visiting China again this year and continuing to consolidate and develop cooperation and exchanges in various fields. Consul General Hong Lei said that Michigan is not only a hot land for economic development, cultural activities here are also rich and colorful, showing the charm of Michigan’s cultural diversity. Governor Snyder has always attached importance to promoting foreign economic and trade cooperation and strongly supporting cultural exchanges, enabling China and Michigan expand economic and trade cooperation and facilitate cultural and educational exchanges at the same time, so that the two sides can enhance mutual understanding and deepen cooperation. We are highly appreciative of the efforts by Governor Snyder and are willing to work with the governor to extend cooperation. 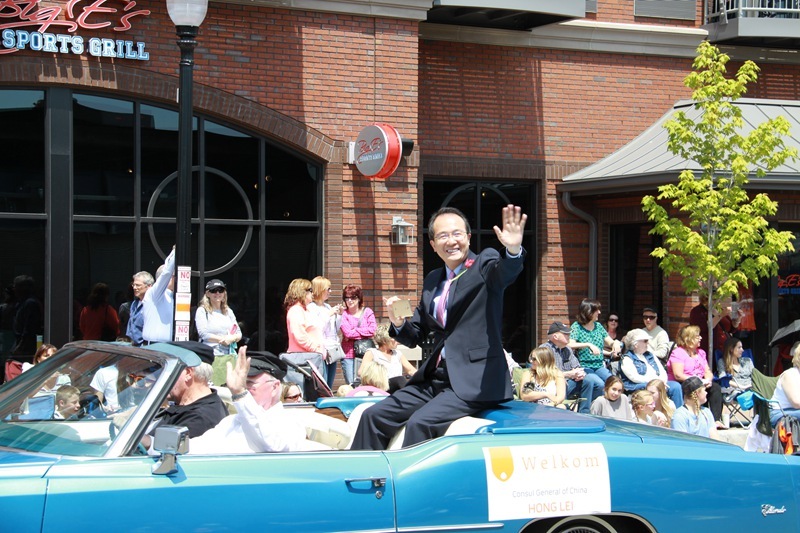 After the opening ceremony, Consul General Hong Lei took a convertible for the tulip time parade. Tens of thousands of local people enjoyed the traditional Dutch dance, parade and band performances in the city center decorated with tulip flowers in various colors. Holland, Michigan has the largest Dutch community in the United States. 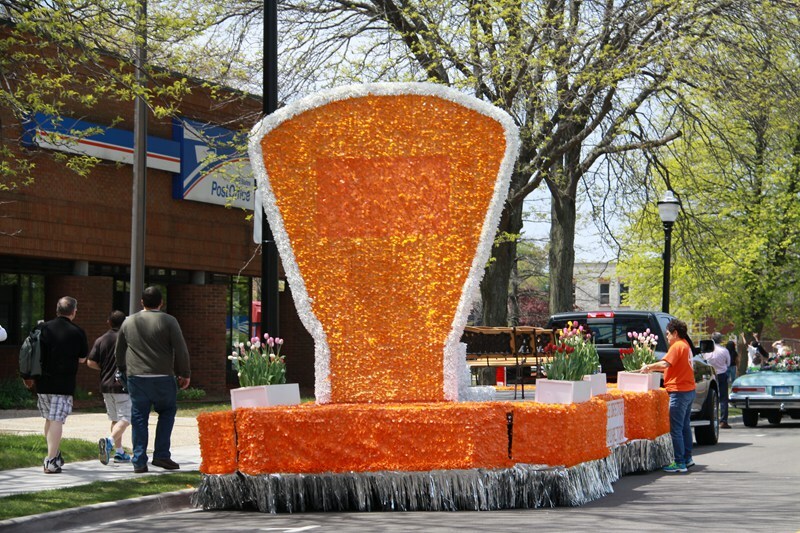 The tulip time festival has been held since 1929, attracting tens of thousands of tourists every spring.